The C-Pillars are extremely easy to do once you've done the main headliner. Remove the old material with a wire brush and glue on the new stuff. The sunroof is a little harder, but not too bad! 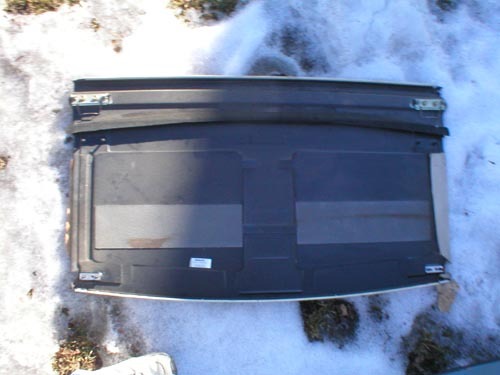 First, you need to remove the sunroof top by removing the 4 horizontal screws in the front. 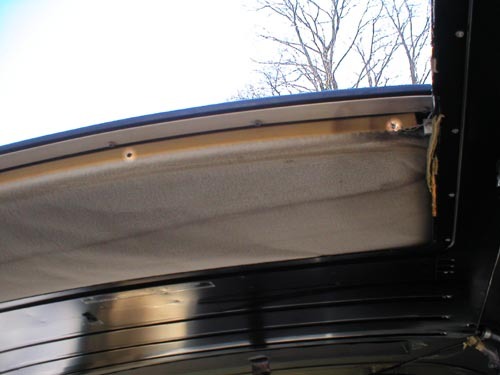 Then close the sunroof until there is a 3/4" gap and pull it up and out of the car. 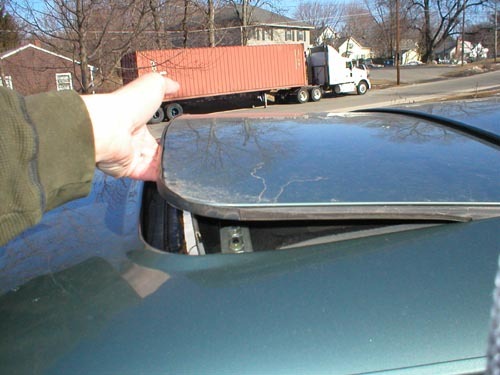 Open the sunroof up again and pull off the plastic guides by tapping it off. These tend to break easily so buying a couple new ones from the dealer will save you some headache. If you are missing them or if they have fallen off, then this could be a source of a water leak. They basically push the sunroof up to seal against the roof. Now remove the nuts for the front and rear guide clips. 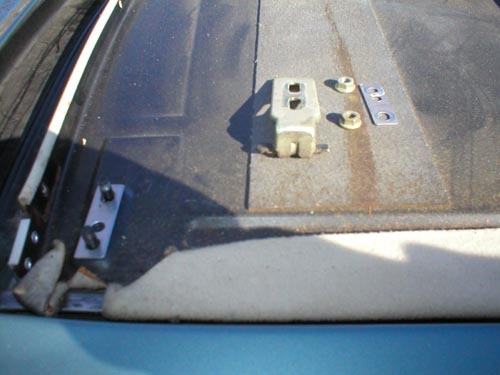 The front guides will come completely off, for powered sunroofs the rears can only be moved out of the way. Start to pull the sunroof up and out of the frame until you can reach the very back nuts. Only LOOSEN these nuts. Once they are loose the whole panel will come out of the hole. 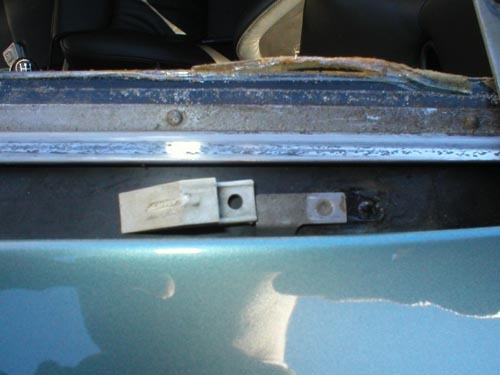 For those that have a handle to open the sunroof, remove the trim piece on the handle. The headliner material is held on with 2 plastic strips. 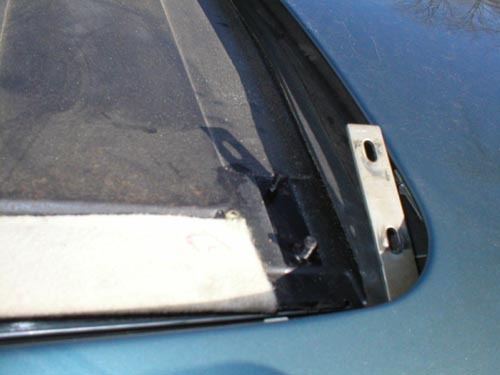 Pull the strips off the sunroof and remove the old material from the strips. The strips are probably broken, but I found that this was not a big deal. Using the old material as a template, cut out a new section of material. Instead of attaching the new material to the bottom of the strips, I glued it to the entire strip which kept the strip together too. Now put it all back together and the sunroof is done! 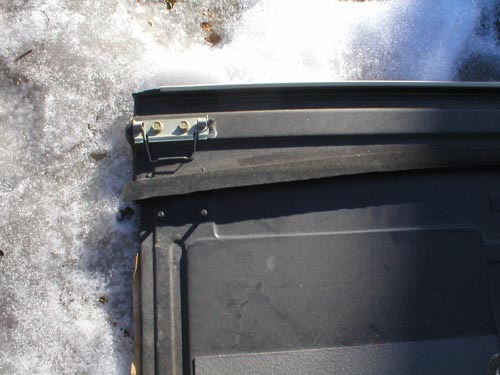 Reinstalling the sunroof is pretty much the same as removing it. There are no tricks involved!